Until you’re actually going through the process of renovating the outside of your house, you may not realize just how important window trim color is to the overall appearance of your home. If you are currently struggling to determine what hue is best for your trim, you’re in the right place. The information in this guide will help you make the right decision to get the look you want after your remodeling job is complete. As you continue reading, you will see some questions you should ask yourself before you select a window trim color. Once you’ve answered all of these, you ought to be able to figure out whether matching or contrasting trim is the correct option for you. There really is no right or wrong choice; you simply need to evaluate your personal tastes and your goals for your home from an aesthetic standpoint in order to determine what will make you happiest in the long run. Do you want your trim to stand out or blend in? The first thing you need to consider is whether you want your trim to contrast with the color of your home or blend into it. Once you determine this, you’ll be well on your way to figuring out what kind of look you truly want your home to have when your remodeling project is complete. This is an important choice, as it will greatly impact the whole aesthetic of your house in the long run. Choosing contrasting trim, such as dark grey for a white house, will draw the eye, making your residence look bolder than it did before. If you have a slightly edgy decorating style, contrasting trim is probably right up your alley. You can accent it with architecturally-inspired light fixtures and coordinating furnishings. Contrasting window trim can also be used in more traditional homes, however. If, for example, you live in Charleston, SC in a beach house, you can create a bright, fun look with a color combination like aqua trim with sunny yellow siding. Matching trim that is the same color as the window frame is the most conventional choice and is popular among homeowners who don’t want to risk their homes looking dated in a short time. Furthermore, many modern window frames have additional pieces of decorative trim attached to them; using the same color on every plane tends to have a more aesthetically pleasing appearance than choosing a contrasting shade for part of the frame. 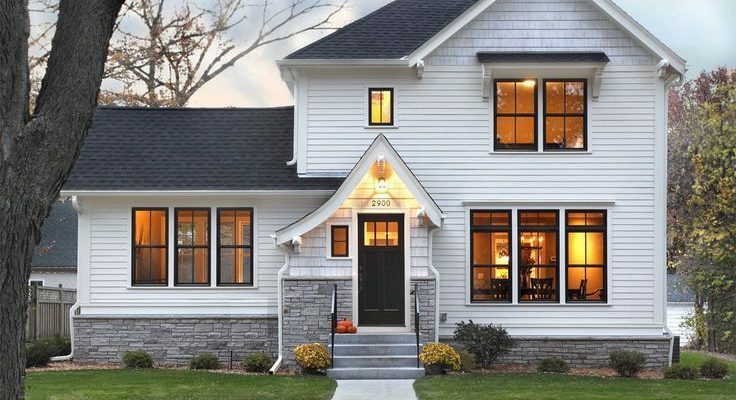 Once you start thinking about what type of window trim you want, you might feel yourself feeling confused about what is really best for your house. Don’t hesitate to contact a decorator to assist you! Many designers will perform color consultations that last about an hour, so they are budget-friendly for just about everyone. You can also call the team at Hatch Homes to help you. In addition to working with you to select the best possible color for your window trim, our skilled team can help match new siding to go with it too. We have been completing exterior projects for Carolina homeowners for years, and we look forward to meeting you soon!